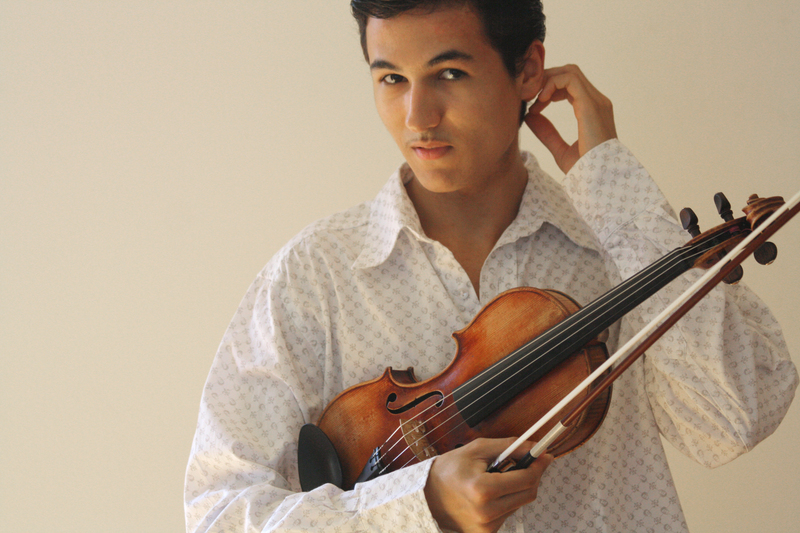 Born in 1991, this French violinist set up the String time Trio in the Summer of 2012. An adept of the natural tone of the violin, he likes to express himself in a warm and responsive context. Open to many musical genres, he feels in jazz the celebrated convergence of musical tastes and styles reached through a blend of improvisation and composition. 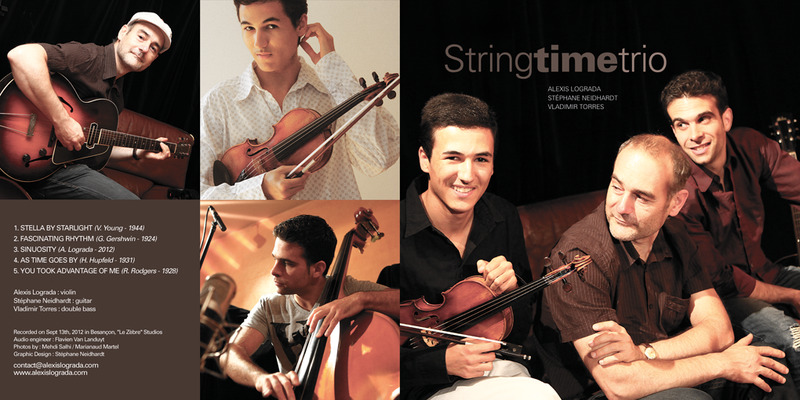 The Stringtime Trio was born in the summer of 2012 out of the partnership of violinist Alexis Lograda, guitarist Stéphane Neidhardt and double-bass player Vladimir Torres. Through a repertoire that comprises revisited great jazz standards as well as some original compositions, the trio has both an acoustic and electric sound. 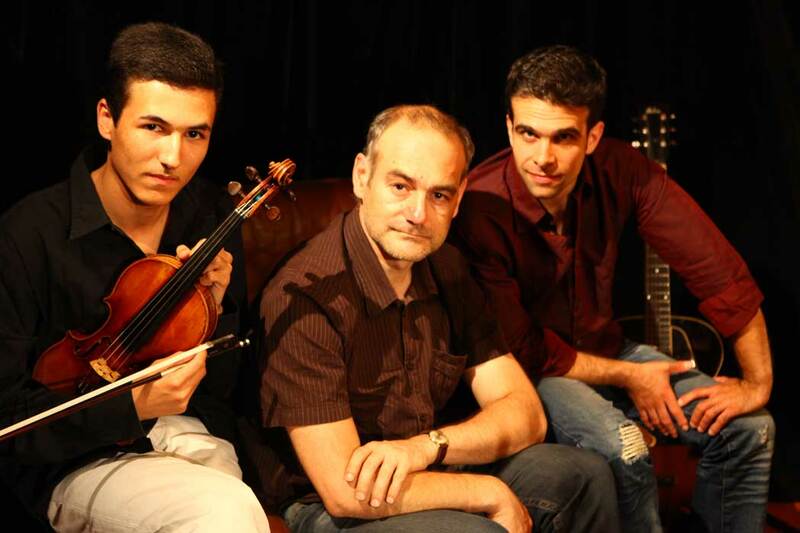 Suffused with the nostalgia of Stéphane Grappelli’s later years, the trio’s rendition of some of his favourite melodies is, to some extent, a tribute to the great French violinist. Born in Lons le Saunier in 1991. At the age of 6, he started playing the violin with Philippe Plassard who was to be his teacher for the next 12 years, thus passing on his passion for improvisation and jazz music. But it was on listening to recordings of Django Reinhardt, Stéphane Grappelli and Bud Powell that he knew intuitively that jazz would be his province. He then developed an interest in various jazz trends, albeit with a preference for American mainstream and middle jazz musicians such as Erroll Garner, Anita O’Day, or Bill Coleman. In his late teens, he met the Gaguenetti family in the French Jura, as well as Stéphane Neidhardt in Besançon and still has strong links with these artists. 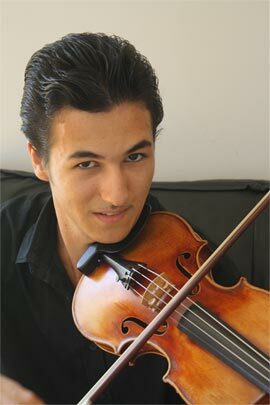 At the same time, he worked with classical violinist Jean–François Corvaisier in Dijon for 2 years during which he truly started reflecting upon the technique of the violin. He eventually settled in Paris where he met renowned artists such as Pierre Blanchard, Samson Schmitt, Didier Lockwood, Costel Nitescu, Rodolphe Raffalli, etc. 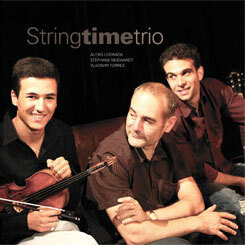 In the summer of 2012, he started the Stringtime Trio with guitarist Stéphane Neidhardt and double bass player Vladimir Torres. Performing with this new band enables him to explore other music styles and to confront the refined sound of the violin with the rich, electric sound of American Archtop guitars. He plays an anonymous early- 20th century violin from Eastern Europe and a mid-19th century French bow in the style of Louis-Simon Pageot. Born in 1969 in Lille, Stéphane started playing classical guitar aged 10. At the age of 17, he discovered jazz music and met Mandino Reinhardt. Because of his strong musical links with Django Reinhardt as well as his intuitive, natural way of playing the guitar, Gypsies hold him in high esteem. He also has an interest in American jazz. 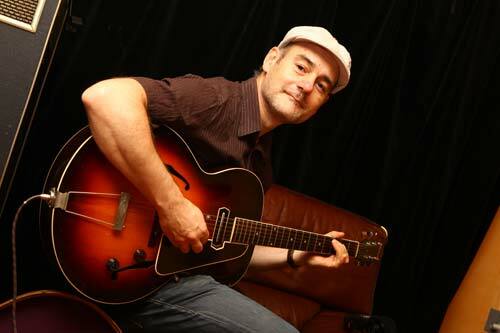 A sensitive and open-minded musician, he is an avid fan of great American guitarists like Charlie Christian, Tal Farlow, Barney Kessel, or Joe Pass. He plays two genuine Gibson guitars (an ES-150 dated 1937 and L-5 dated 1968) and uses a Gibson amplifier (EH-125) dated 1941. 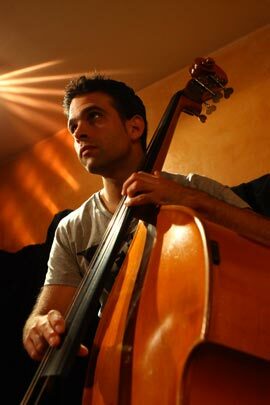 Double-bass player and bass guitarist Vladimir Torres was born in Uruguay in 1979. Since 2002, Vladimir has recorded over 15 albums as a recording artist and live performer. He performs with various musicians, in very different music styles. He also composes and arranges pieces for several of the artists he works with. Vladimir gained recognition by performing with Ritary Gaguenetti and together, they have been touring the world ever since. They have recorded many albums together and Vladimir was in charge of Ritary’s management and booking from 2001 to 2011. Today he plays with artists Fayçal Salhi, Ricardo Torres, Ritary Gaguenetti, Frank Petrel, Michel Berreur, Maher Beauroy as well as the Alfred Massaï, Kaléï and Diva ensembles. In 2010/2011, Vladimir created a show called “Chroniques, duo pour une Danseuse contemporaine et un Contrebassiste”, for which he composed the music. He is currently working on his own project as well as on a trio with Ricardo Izquierdo. He plays a 1986 German double bass, by instrument maker Kurt Hoyer.